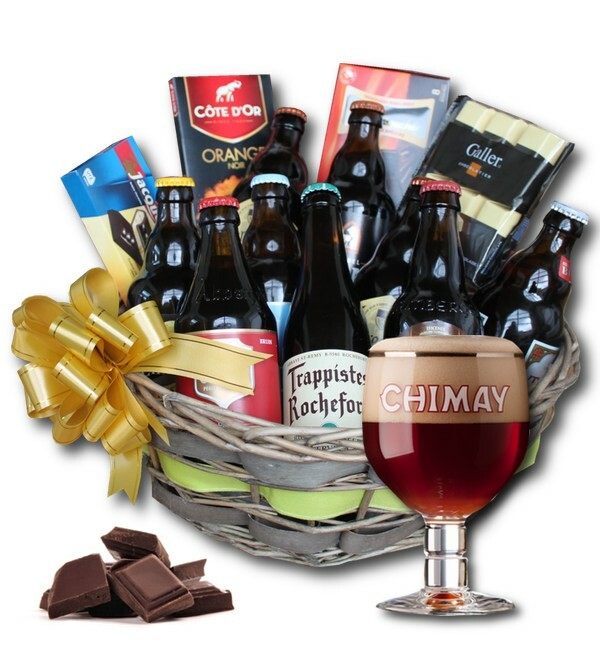 A fine selection of 10 bottles of Belgian abbey and speciality beers (33cl) combined with the best Belgian chocolate. The basket is wrapped in clear cellophane and is decorated with a fitting bow for the occasion. A wishcard with your own personal message makes the gift complete. We deliver this gift in the Benelux countries, France, United Kingdom, Germany, Austria, Denmark, Poland, Italy, Slovakia, Czech Republic and Hungary.